I have lost track of how many sessions I’ve had with clients around the subject of time management. When you’re overwhelmed and/or not as productive as you’d like to be, it’s the first place your attention goes. This seems to make sense, but it’s often not the problem. Many times the reasons that things aren’t getting accomplished is not that you aren’t managing your time well, it’s that you’re over committed and worn out. You’ve probably lived so long like this you don’t even remember how you got here. If you asked me, I would venture to say that it came from a conglomeration of having trouble saying no, a lack of boundaries, and muddy priorities. 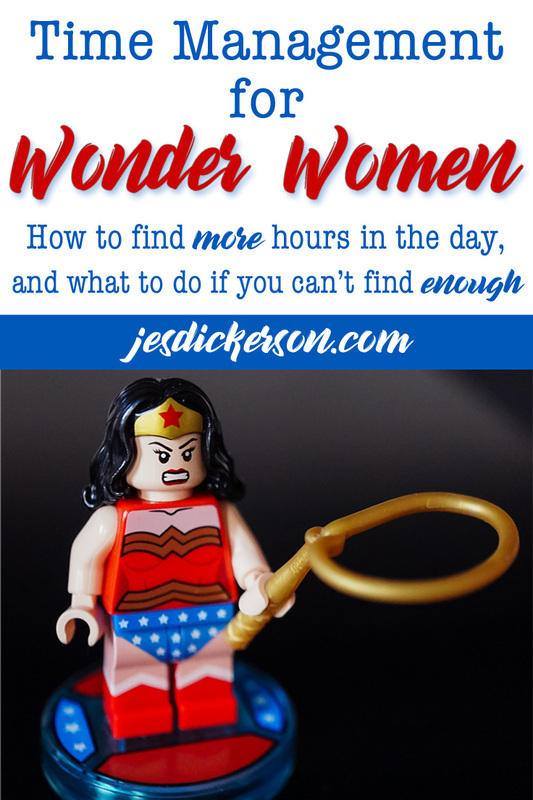 This coupled with the personal and societal pressures that you MUST do it it all causes what I call the Wonder Woman Complex (WWC). So many women feel that if they CAN do it they SHOULD do it. Even if they can’t fit it in, they make it work, because that’s what we do. We are Wonder Women. I’m here to relieve you of this burden. You can’t “do it all”, at the very least, not all at once. And even if you could, it’s not all worth your time. Saying yes to everything seems like it will eventually lead to feeling successful, but since it’s not possible to do it all and take care of yourself, it leads you to either feeling like a failure, or totally used up. Tell me if this sounds like you: one day you get a lot done so you feel like you can (and should) take on even more. But then that backfires because there are only so many hours in a day, and eventually your energy wanes and you need a break. But too late you’re already overcommitted. This leads you to feel like a failure. You think you could do more, if you just try harder. You sacrifice more of your time. Time that should be used to take care of yourself and your interests and your needs. This works for a little while to help get more done. And then the cycle continues until you are out of things to sacrifice and are left burned out and miserable. And this is when you turn to me. In an effort to cut you off at the pass, I will be doing a series to help you work through some of the more tangible aspects that lead to WWC. Today we’re going to talk about how you allocate your time. While it’s true that we all have the same 24 hour day to get everything done, we don’t all have the same level of requirements either bestowed upon us by ourselves or others. What we do have, however, is the capability to figure out how we currently spend our time and then see how that lines up with how we want to be spending our time. They are so frequently different. In order to figure out how much free time you have to fill in with what you want to say yes to, you need to do some simple (but personal) math. Sleep – absolutely no less than 6 hours. If you want to know how damaging skipping sleep is check out this post. For your health, this is not negotiable. Commuting – You might not have a traditional job, but I’m sure driving time needs to be factored in most days. Personal Obligations – This isn’t just the time it takes to see your kid’s school play, but also for you to participate in things that energize you like your hobbies and passions. You have an obligation to yourself to pursue your interests. Exercise – No this isn’t a place to “save time”. Self Care – Calculate things like meditation, but also things like how long it takes to eat a meal (not at your desk while you keep working). You will probably have a different equation for each day of the week – especially if you are responsible for taking care of others who have appointments and activities. Now that you’ve made the budget, consider the hours used as out of bounds. Sure in a desperate crunch you could take lunch at your desk to complete a project, but don’t make it the norm. This goes to creating boundaries (that we will talk about in a later post). This is often one of the hardest things for someone with WWC to do. Not asking for help is why we’re in this situation in the first place, but help is one of the best ways to get out. See where you can delegate some responsibilities and where you can hire someone to help (this can be paid or unpaid. I hire my kids to do things all the time, and they get paid in special treats or activities). Once you find the places where others can help, go ask them – don’t just sit and suffer while you wait for them to volunteer. Based on your time budget it’s clear that you cannot do as much as you would like, so where can you cut back? Do you really need to volunteer to work that whole function? Could you just do part of it instead? Where can you lessen the scope of a project? This could be at work, or it could be the scale of something at home. Sure you’d like to get the whole house painted this week, but it’s not looking realistic, so where can you scale back to make it reasonable. This is a tougher one to do. Many of us know that we are perfectionists, but don’t see how it manifests. You might be spending WAY too long on email because you want it to be perfect before it goes out. Or maybe you make home made designer cupcakes for the bake sale, when a box mix would do. Take a hard look at your tendencies and where you’re spending the most time. If the reason that you’re spending so much time there is not because you want to succeed, but because you’re afraid to fail – that’s perfectionism. Check out this post and this post for more info. You might have made your budget and it seems like you have enough time, but stuff just isn’t getting done. If that’s the case it’s time to track your time. There are several ways to do this, and yes it can be a pain in the neck, but it might be very insightful. I used to only put on my calendar the actual appointments we had and not think about the driving time involved. Now I consider the driving time and what those drives will be like. A quick trip the market will leave me feeling fine when we get home, but a 45 minute slog through rush hour traffic with screaming kids means I need to be realistic about how long I need to recover and what I’ll have the energy to do when I get home. What the time tracking can do is make it clear that while you think you’re spending 2 hours on email it’s really 3.5 and that will massively cut into your day. Even if you’re just off by a half hour or so – if it’s on enough items it adds up. Schedules are ever changing, so it’s not realistic to do this exercise and then forget about it for a decade. You need to keep up with the shifting sands on a regular basis. Try to find a system that works for you. You could fill out a schedule for a week or a month and then check in with it as need be. Personally, I fill in mine with appointments as they come, but then check in with tomorrow, the night before. This helps me mentally prepare for the day ahead and to fit in things off my to do list that have come up but not made it on the calendar. Just remember that when you’re filling in that calendar put in the priorities first and then fill in around those things. That way you’ll always have time for what’s important to YOU. You’ve made your budget, tried to cut things out or get help, but you’re still don’t have enough hours. Now what? If you’ve decided that everything is priority then it might be time to schedule a session with me. We can work together to figure out what’s truly important and what really doesn’t even need to be on your radar. 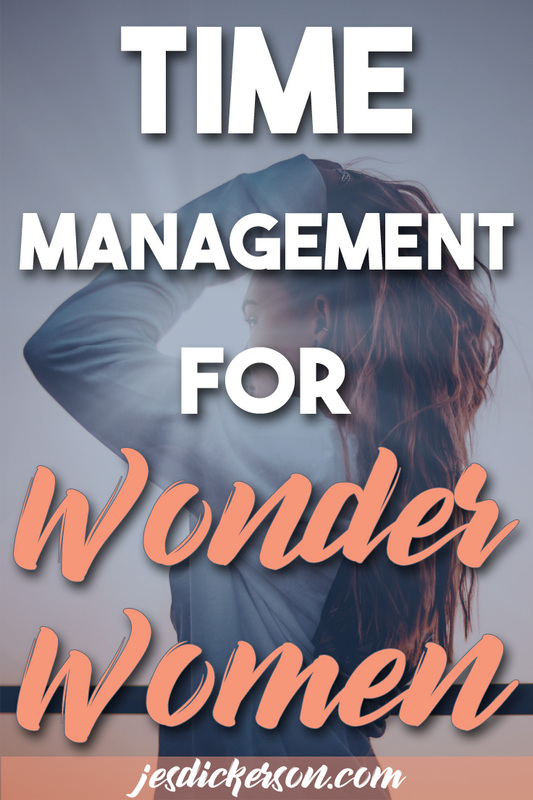 If you feel like you’re constantly in emergency mode, only having time to put out fires, then check out this post on how to organize your tasks so you can get what’s important done. If something comes up and you can’t decide whether to commit to it or not, check out this post on how to figure out which activities are worth it.